Eurol Engine Stop Leak | Eurol B.V.
Eurol Stop Leak is an additive developed to swell and revitalize seals and o-rings to stop leaks in diesel, LPG and petrol engines. 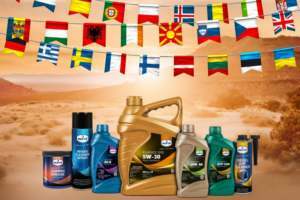 It is compatible with all mineral and synthetic, single- and multigrade oils. It does not contain solvents or solids and does not only swell the seals but keeps them elastic too.